"I Am A Real American"
The Undertaker vs. Hulk Hogan: 1991 Feud for the WWF ChampionshipThe Undertaker feuded with Hulk Hogan & became World Wrestling Federation Champion when he defeated Hogan at Survivor Series 1991. They also feuded in 2002. 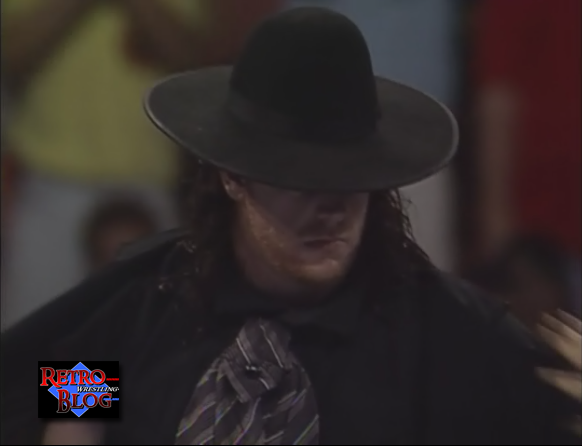 Not long after The Undertaker joined the World Wrestling Federation in 1990, he set his sights on defeating the World Wrestling Federation Champion, Hulk Hogan. Ric Flair and The Undertaker attacked Hulk Hogan on the set of Paul Bearer’s Funeral Parlor interview show on November 16, 1991, and Undertaker ripped off Hogan’s cross necklace. It took chair shots from Randy Savage and Roddy Piper to get Undertaker and Flair away from Hogan. In the first ever one-on-one match at Survivor Series, The Undertaker faced Hulk Hogan for the World Wrestling Federation Championship on November 27, 1991. 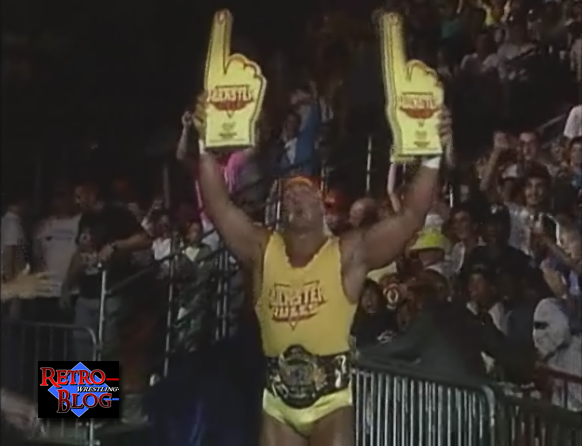 Scarcely anyone could believe that the Hulkster would really lose. But when Ric Flair came to the ring and passed a steel chair to Undertaker, the Deadman Tombstoned Hogan onto the chair and pinned him for the win. The Undertaker became World Wrestling Federation Champion. This Tuesday in Texas: Hulk Hogan vs. The UndertakerWorld Wrestling Federation President Jack Tunney declared that due to The Undertaker’s controversial win over Hulk Hogan at Survivor Series, the WWF would have a one-time only pay-per-view event called This Tuesday in Texas (later shortened to Tuesday in Texas). It took place on December 3, 1991, with a rematch of Undertaker vs. Hogan. Undertaker and Paul Bearer went after Hogan before the match began, but Hogan banged their heads together and went on the offensive. Every time Hogan took him down, however, Undertaker sat up. Undertaker got on the offensive but Hogan kept fighting back. Ric Flair came to ringside again but Jack Tunney ordered him to leave. Hogan hit Flair in the back with a chair and knocked Flair and Tunney onto the floor. Flair climbed up on the ring apron with a chair, but Hogan shoved Undertaker face-first into the chair. Bearer then accidentally hit Undertaker in the head with the urn when Hogan ducked. Hogan then threw dust in Undertaker’s face and pinned him for the win, making him once again World Wrestling Federation Champion. Hulk Hogan vs. The Undertaker – Their First Encounter! 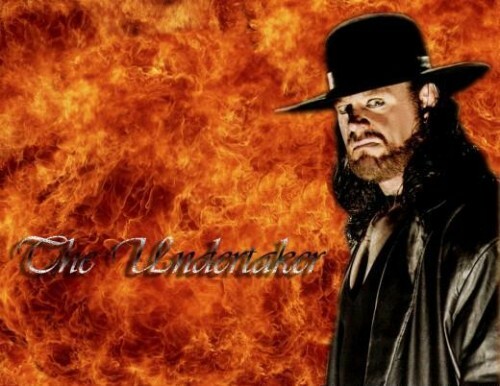 On November 27th, 1991 The Undertaker would defeat the immortal Hulk Hogan for the WWF championship at the 5th annual Survivor Series event…This would be The Undertaker’s first title reign in the WWF and one that would last only 6 days before Hogan would ultimately recapture the belt at the “This Tuesday In Texas” event the following week. For many, this would be the first time seeing these two superstars going head-to-head with one another, however this actually was not their first televised encounter. On Monday night, July 29th, 1991, nearly 4 months prior to their bout at Survivor Series, Hulk Hogan would lock up with The Undertaker on USA Network’s “Prime Time Wrestling”. Around this time The Undertaker was getting a major push in the WWF, headlining many of the WWF house shows against The Ultimate Warrior and others. 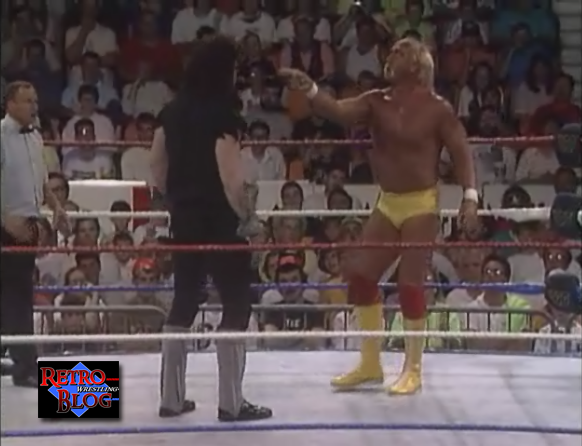 In this first WWF title match against Hulk Hogan, The Undertaker seemed to throw the rule book completely out the window. Undertaker was able to quickly take control of the match, stomping Hogan on the way into the ring and proceeded to choke The Hulkster with his torn t-shirt and then beating him repeatedly with his championship belt. For whatever reason the referee allowed this to go on, even though technically The Undertaker should have been disqualified right off the bat. For the most part this was a total lopsided match, with Hogan taking a defensive role through most of the bout and The Undertaker not selling any of Hogan’s offensive moves whenever he would dish them out. 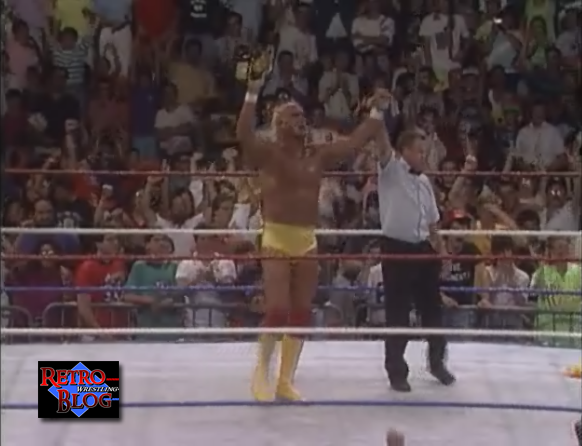 Overall the match lasted less than 5 minutes, with Hogan successfully defending his title after kicking out of The Undertakers “tombstone” pile driver and then shortly after pinning him. Not a memorable match by any means but a historic one none-the-less.